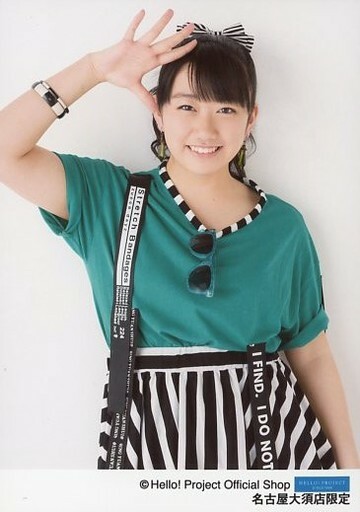 A thread for Akane Haga, one of the brand new 12th generation Morning Musume members! 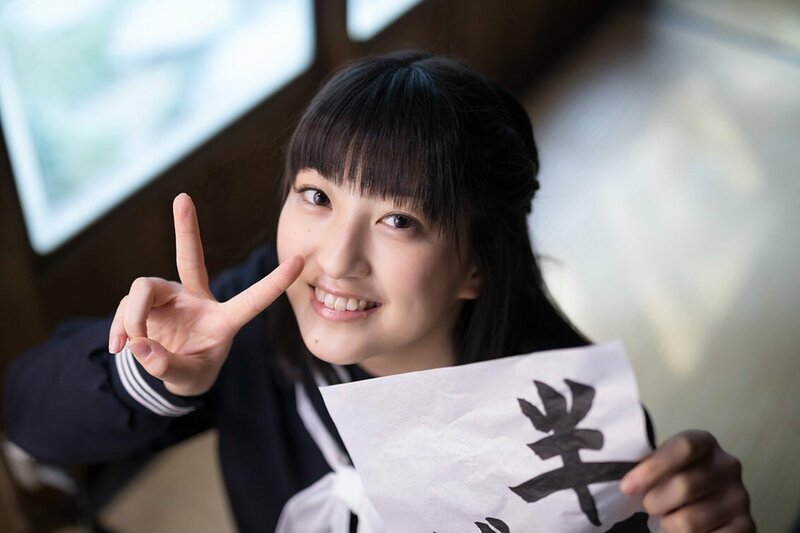 Akane is a former Kenshuusei (trainee) and also participated in the Morning Musume 11th and the failed 12th (Mirai Shoujo) generation auditions. She was a finalist in the latter. Intro vid from the trainee days. More to be added I'm sure. 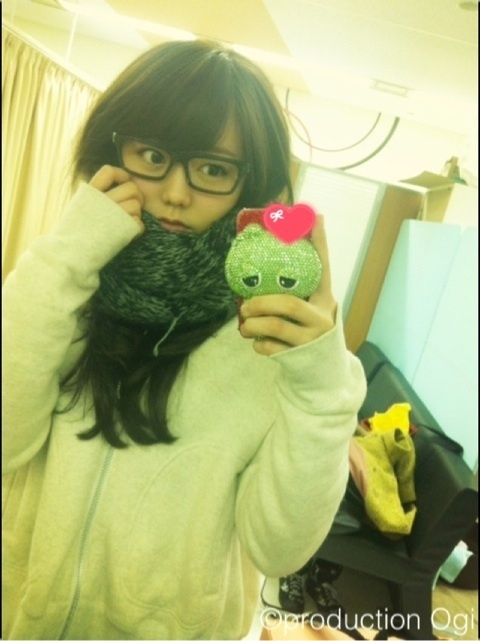 You were told you were a member of Morning Musume by Sayumi’s video message, right? I was so surprised, I couldn’t react. But, in my heart, I was really happy. On Hello! Station, the recording was made at your house. I have really bad eyesight and I wasn’t wearing glasses or contacts at the time. The object was a camera, but I couldn’t tell. The staff was also there but I couldn’t tell who they were. So I just yelled “Kyaa!” and ran out of the room. 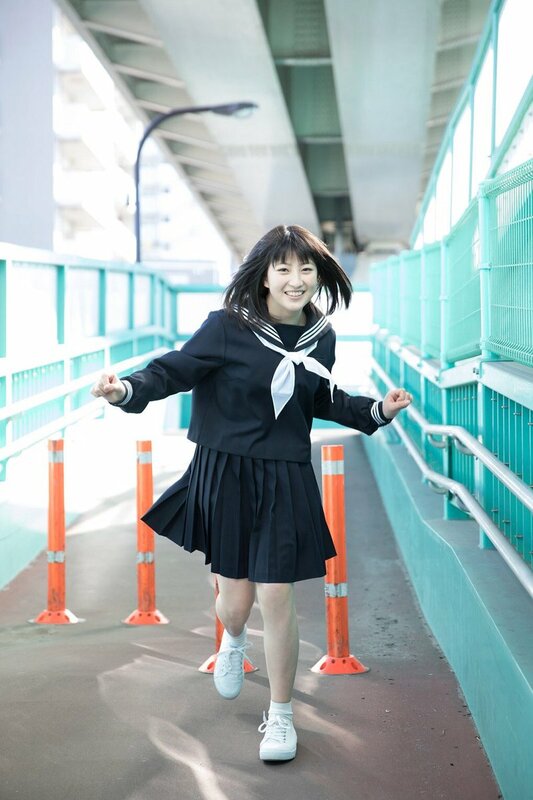 When you saw it was Sayumi on the video, what did you think? I sort of thought “Maybe it means I am…”. The 10th Generation announcements of them passing the auditions were announced on video message, so I thought “Its the same thing!!”. What were your friends reactions? After it was announced, all of my friends told me “Congratulations!”. Many friends wrote me letters saying “I’m proud to be your friend!” and it made me very happy. When did you realize you wanted to become an idol? My aunt really likes Morning Musume, so from a young age I had been listening and watching Morning Musume. Because of that I naturally grew to like Morning Musume. 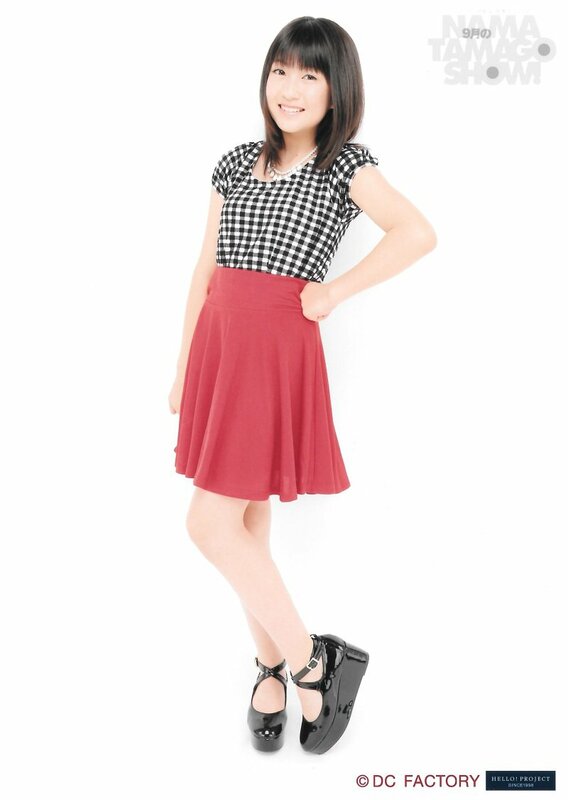 So it wasn’t so much “I want to become an idol” it was more like “I want to be in Morning Musume”. What was the first song that made you want to be in Morning Musume? When I was younger I didn’t really understand the meaning of the songs, I just thought “I like it” to most of the songs. I realized I wanted to be in Morning Musume in fourth grade when I heard the song “Only You”. In the 2014 Hello! Project Kenshuusei Public Ability Diagnosis Test, you performed “Nanchatte Renai”. Really, my number one song to practice at karaoke is “Be Alive”. But, my family suggested that I perform “Nanchatte Renai”, so I went with that. During the “Ability Diagnosis Test” you had a small occurrence, right? Is it common for you to get nosebleeds? I had never had one before. At that time I thought it was just snot coming out but when I saw it I thought “oh, its blood,”. I felt nervous because it was the first time I had gotten a nose bleed. Overall, it was surprising. Is there someone in the 12th Generation who is your rival? Makino Maria. 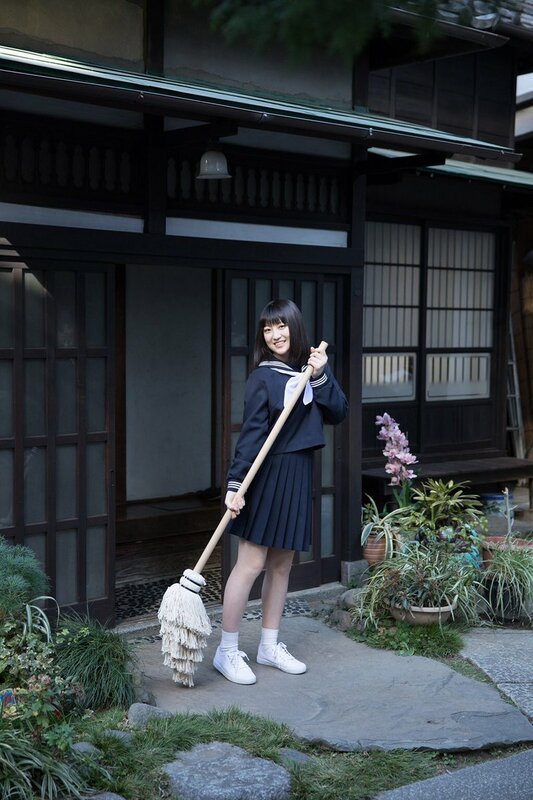 Before we joined she was my Senpai in the Kenshuusei. We have been training to both join Morning Musume, so I don’t want to lose to her. How is the relationship between you and Makino, being senpai and kouhai? At first, I definitely used keigo (polite speech), but after Oda Sakura asked “You are in the same generation but you use keigo?” I started calling her “Maria-chan”. When we were in Kenshuusei we didn’t really talk, but now we get along. With the exception of the 12th generation, which new member of Hello! Project have you noticed? Angerme’s Aikawa Maho and the Kenshuusei Unit’s Ogawa Rena. I have been Rena-chan’s kouhai for about half a year, but she was chosen to be in a unit around the same time as me, so I’ve kind of noticed her. We became easy friends, so it seemed like she could become a rival to me. We are regularly in contact, so she is like my big sister. You have become sister-like friends then? Yes. She has an older sister-like presence and I have relied on her. Also, Ogawa has said “Let’s play together” so I stopped using keigo with her, so she has become more like my older sister. At the Hello! Project concerts, you have had moments with Berryz Koubou and C-ute, huh? During the Hello! Concerts, at one point, my shoelace had come undone but I was holding a microphone. At that point, Tokunaga Chinami came up and held my microphone while I re-tied my shoelace. It was very nice of her. What do you think your biggest challenge is now? First, dancing. Murota Mizuki and Sasaki Rikako have really strong dance performances, so I want to become like them. Also, Nonaka Miki, Hamaura Ayano, and all of the members of Country Girls are very good at singing, so I want to have their ability. What is your goal in Morning Musume ‘15? 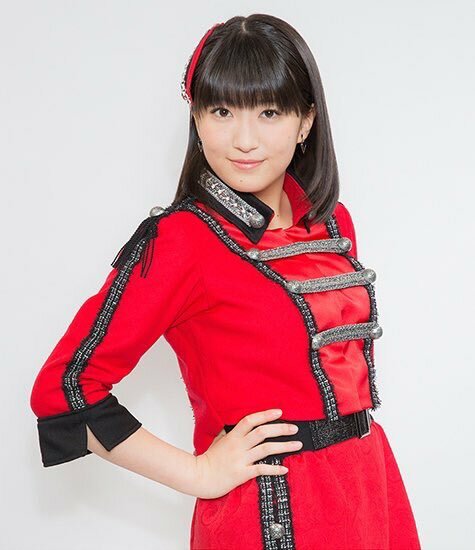 As the 12th Generation joins Morning Musume, I want to advance (Morning Musume),” is my thought, but I would also like to have a concert in my hometown of Nagano. 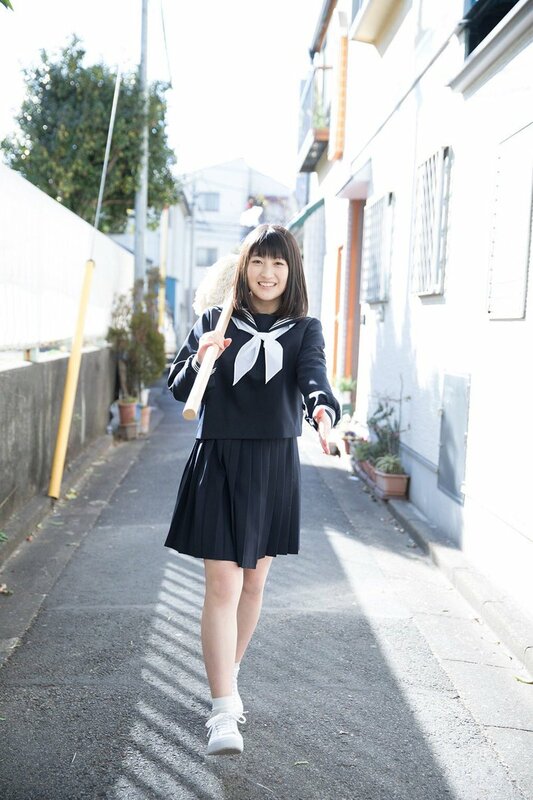 Before joining Morning Musume, you said your dream was to be a female announcer. You could study in University to become a female announcer, right? I didn’t realize that I could do that, but while I am with Morning Musume, I will do my best to learn about it. Lastly, please tell us your personal appeal. 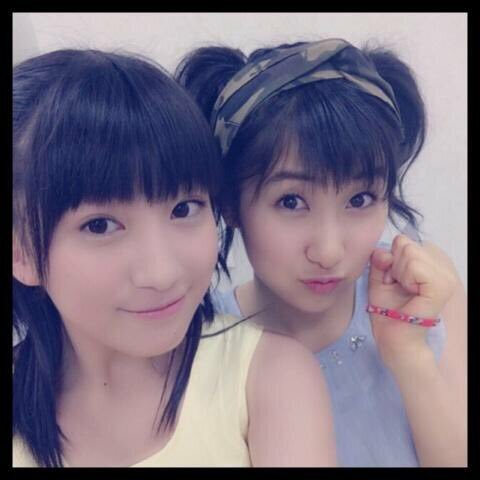 I am the youngest in Morning Musume, however, please cheer me on while I get gradually get better!